Suite Information:AVAILABLE MARCH 1, 20191769 Square FeetIdeal for Production space! Located at center of building.Stubbed in for water service/kitchen area2 Double entry doors from interior building hallwaySecurity deposit = 1 Month's RentBuilding Specs:Electrical Service: building has 3-phase 208-volt power availableWater: Suites have cold water service. 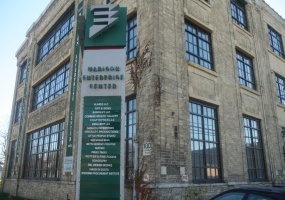 Madison Enterprise Center Suite 300 C - Available Now!!! Suite Information:510 Square FeetThird Floor Gallery LocationOffice spaceSecurity deposit = 1 Month's RentCost per square foot is $13.50. Main Street Industries Suite 1 - QUICK OCCUPANCY! Suite Information:QUICK OCCUPANCY AVAILABLE!Features Small Office/Meeting Room.Private entry door off of Parking Lot.Double entry door from interior building hallwaySecurity deposit = 1 Month's RentBuilding Specs:Electrical Service: building has 3-phase 208-volt power availableWater: Suites have cold water service.Utilities: Tenants pay for electric and gas service. Main Street Industries Suite 7 - Available NOW! 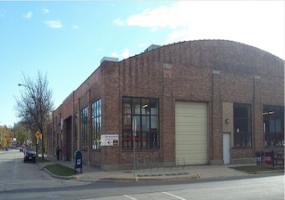 Suite Information:AVAILABLE NOW!1887 Square FeetIdeal for Retail space! Private entry door on Main StreetStubbed in for water service/kitchen areaDouble entry door from interior building hallwaySecurity deposit = 1 Month's RentBuilding Specs:Electrical Service: building has 3-phase 208-volt power availableWater: Suites have cold water service.Utilities: Tenants pay for electric and gas service. Main Street Industries Suite 10 - QUICK OCCUPANCY! Suite Information:AVAILABLE JANUARY 1, 2019. 2018 © Common Wealth. All rights reserved.